Draft: 2008, Seattle Mariners, 1st rd. Joshua David Fields…resides in Hull, GA with his wife, Brittney and son Harrison…graduated from Prince Avenue Christian School (GA) in 2005…went on to attend the University of Georgia where he played from 2005-08. In an injury-shortened campaign, went 2-2 with two saves and a 2.20 ERA in 45 games ... Held hitters to a .196 average, including limiting righties to a .207 mark compared to a .179 average against left-handed batters, and posted a 0.95 WHIP ... Recorded his first loss of the season on May 5…was his first loss since May 29, 2015 vs. CWS, a span of 149 games…had won 10 games without recording a loss during that span ... Placed on the DL from June 28-Aug. 30 with right shoulder inflammation. In his first full season with the Dodgers, he posted career-highs in innings (57.0), WHIP (0.96) and wins (5) and posted career-lows in ERA (2.84), opponents' batting average (.194) and opponents' OBP (.251)...Ranked in the top 15 among National League relievers in wins (T-11th), WHIP (8th), opponents' batting average (12th) and opponents' OBP (6th)...Tossed scoreless relief in 44 of 57 appearances, going 5-0 with a 2.84 ERA (18 ER/57.0 IP) and two saves...struck out 60 batters against 15 walks...Effective against batters from both sides of the plate, limiting righties to a .169 average and holding left-handed hitters to a .232 mark...held the opposition to a .219 average with runners on base...Placed on the DL with a lower back strain from Aug. 27-Sept. 4...Appeared in four postseason games, allowing two earned runs in an inning of relief...Made three relief appearances with Triple-A Oklahoma City, not allowing a run in 3.0 innings and striking out three...allowed just one runner to reach base via a hit. Combined to go 1-0 with a 4.63 ERA (18 ER/35.0 IP) and struck out 42 batters against just 11 walks in 37 relief appearances for the Astros and the Dodgers..Allowed just three out of 23 inherited runners to score (13.0%)...In 15 relief appearances with the Astros, he posted a 6.89 ERA (12 ER/15.2 IP) and struck out 20 against just three walks…went 1-0 with one save and 1.65 ERA (5 ER/27.1 IP) in 23 relief appearances for the Astros' Triple-A Fresno, while holding hitters to a .192 average with a 0.65 WHIP...Acquired by the Dodgers on August 1 from the Houston Astros in exchange for minor league first baseman Yordan Alvarez...In 22 games with the Dodgers, he went 1-0 with a 2.79 ERA (6 ER/19.1 IP) and struck out 22 batter against just eight walks…tossed scoreless relief in 10 of his last 11 games since Sept. 2 (1 ER/9.2 IP)...Limited hitters to a .256 average with Los Angeles, including a .185 (5-for-27) mark against lefties…opposition hit just .188 (6-for-32) against him with RISP...Selected to the Dodgers' 2016 NLDS and NLCS roster, striking out four and walking one in 2.1 scoreless innings in four postseason appearances, while limiting batters to a .125 average (1-for-8)...Made two relief appearances for Triple-A Oklahoma City, going 0-1 with a 9.00 ERA (2 ER/2.0 IP). Made 54 appearances for the second consecutive season, in what was his third as a Major Leaguer...led all Astros relievers in strikeouts per 9.0 innings (11.90), ranked second in strikeouts (57), and ﬁfth in innings (50.2)...posted career bests in a number of categories, including ERA, WHIP (1.14), opponent batting average (.210) and strikeouts per 9.0 innings (11.90, 67SO/50.2IP)...ranked ﬁfth among AL relievers in strikeouts per 9.0 innings...his 21 multi-strikeout games led all Astros relievers and ranked tied for 11th among AL relievers...21 games with two or more punchouts tie his mark set in 2014, which are a franchise record...his 11.90 strikeouts per 9.0 innings ratio marked the highest by an Astros reliever since RHP Brad Lidge (12.48) in 2006, and ranks 10th all-time among Astros relievers with at least 30 innings...struck out more batters than baserunners allowed (67 SO vs. 39 H, 19 BB, 1 HB)...had two long scoreless appearance streaks: a 13-gamer (July 21-Aug. 19) which was a career-long streak, and an 11-gamer from May 1-27)...was scoreless in 35 of his ﬁrst 41 games...posted a 2.04 ERA (9ER/39.2IP) and held opposing hitters to a.154 (24-for-136) batting average...struck out 52 batters and walked only 14 in that span...started the season on the 15-day Disabled List with a right groin strain...was activated from the DL on April 24...was with the Astros until he was optioned to Double A on Aug. 20...was recalled on Sept. 1, where he remained through the end of the season...held opponents hitless in 14 of 18 outings from May 5-June 20...allowed only ﬁve hits in 16.2 innings, and opponents were batting only .096 in that span...earned his fourth win on Aug. 19 vs. TB on what was his 30th birthday...also received the win on his birthday in 2014...is just the seventh Major League reliever all-time to win two games on his birthday, and the ﬁrst since RHP Wade Davis (2012-13)...pitched ﬁve games on rehab assignment with Triple A Fresno before joining the Astros on April 24...allowed only two runs in 6.0 innings for a 3.00 ERA...made only two appearances with Double A Corpus Christi in August, pitching 1.2 scoreless innings with a strikeout...made his ﬁrst career postseason appearance in Game 2 of the ALDS on Oct. 9 at KC...came in with the bases loaded and gave up a walk,before striking out the next two batters he faced. In his sophomore season, appeared in a career-high 54 games and 54.2 innings, going 4-6 with a 4.45 ERA (27ER/54.2IP)...was third on the club in appearances in what was his second Major League season...led all Astros relievers in strikeouts (70), innings (54.2) and strikeouts per 9.0 innings ratio (11.52)...finished third on the club in holds (8) and second in strikeout to walk ratio (4.12)...according to Fangraphs.com, ranked eighth among AL relievers in wins above replacement (1.5)...marked the highest WAR by an Astros reliever since RHP Dan Wheeler posted a 1.5 mark in 2006...among AL relievers, ranked 11th in strikeouts per 9.0 innings...also ranked fifth in home runs per 9.0 innings ratio (0.33, 2HR/54.2IP)...his 21 multi-strikeout games ranked tied for 10th among AL relievers, and marked the most by an Astros reliever since RHP Jose Valverde had 25 in 2008...his 11.52 strikeouts per 9.0 innings ratio marked the highest by an Astros reliever since RHP Brad Lidge (11.82) in 2007...following a brief stint in the minors, was one of the AL's top relief pitchers from May 17 through the end of the season...went 4-3 with two saves, eight holds, a 2.32 ERA (11ER/42.2IP), 10 walks, 55 strikeouts, a .208 opponents' average and a 0.98 WHIP in 40 games over that span...had two long scoreless appearance streaks over that span: a 12-gamer (June 12-July 29) and a nine-gamer to end his season (Aug. 19-Sept. 9)...made his second appearance on an Opening Day roster this season with Houston...was optioned to Triple A Oklahoma City on May 6...was recalled from Triple A on May 14...placed on the 15-day Disabled List on June 15 with right forearm soreness...was reinstated from the DL on July 4 and he remained in Houston through the end of the year...eight of his first nine outings of the year were scoreless (April 2-22)...recorded two saves with a 2.00 ERA (2ER/9IP) and 11 strikeouts in that span...gave up runs in four of his next five games before getting optioned to OKC...struck out four batters on two occasions this season (June 8 at MIN and July 4 at LAA), which tied a career game-high (also Aug. 5, 2013, vs. BOS)...struck out seven consecutive batters across two outings (July 4 at LAA and July 7 at TEX)...was one batter shy of matching the franchise record of eight consecutive strikeouts, shared by RHP Don Wilson (1968), LHP Jim Deshaies (1986) and LHP Billy Wagner (1999) (Elias)...on July 7 at TEX, he and LHP Tony Sipp combined to strike out seven consecutive batters...marked the first Astros relievers to record that many consecutive strikeouts since Houston's combined no-hitter over the Yankees on June 11, 2003, at Yankee Stadium...RHP Brad Lidge, RHP Octavio Dotel and LHP Billy Wagner combined to strike out eight straight batters from the 7th through 9th innings that game...earned the win in Houston's 7-4 victory on Aug. 19 at NYY, on his 29th birthday...became the 13th pitcher in franchise history to register a win on his birthday (last, RHP Roy Oswalt on Aug. 29, 2007, vs. STL)...over his week-long stint at Triple A, made three hitless and scoreless appearances, recording one save with four strikeouts in 3.0 innings. Rookie reliever appeared in 41 games and converted 5-of-6 save opportunities...allowed just a .220 (31x141) opponent's batting average and fanned 40 in his 38.0 innings pitched...led the club by averaging 9.5 strikeouts per 9.0 innings ... stranded 15 of his 17 inherited runners on the season ... recorded all five of his career saves and struck out 30 hitters in his 23.2 innings pitched across 25 games in the second half of play...in his final 16 outings (after Aug. 12), recorded four saves with a 1.62 ERA (3ER/16.2IP) while striking out 17...opponents hit .172 (10x58) off him in that span...made the Opening Day roster after posting a 2.31 ERA (3ER/11.2IP) in 12 Spring Training appearances...was on the DL, missing 51 games, from April 4-May 30 with a right forearm strain...made two MLB appearances before landing on the DL ... both were one-out apps. in the club's opening series vs. TEX ... made his MLB debut on April 2 vs. TEX, fanning the only hitter he faced (C. Gentry) ... pinch ran in the bottom of the 10th on June 20 vs. MIL and ended up scoring the winning run on a three-run homer by Carlos Pena ... earned his first Major League win on July 23 vs. OAK after pitching a scoreless 9th inning in an Astros comeback victory ... earned his first MLB save on Aug. 5 vs. BOS (0ER/1.1IP) by recording four strikeouts and stranding two inherited runners...made seven total appearances on his injury rehab assignment with Class A Quad Cities (2g) and Double A Corpus Christi (5g)...combined to post a 1.80 ERA (2ER/10IP) in the minors...entered the 2013 season ranked by Baseball America as the club's No. 25 prospect. Went 4-3 with 12 saves and a 2.01 ERA (13ER/58.1IP) in 42 games between Triple A Pawtucket (10g)and Double A Portland (32g)...held opponents to a .183 (38x208) batting average and gave up just 18walks as opposed to 78 strikeouts...closed out the 2012 season at the Triple A level with Pawtucket and didnot allow a run in his 13.2 regular season innings...played an instrumental role in the club's InternationalLeague championship-run, throwing 2.0 hitless innings with four strikeouts in his two playoff appearances...recorded the save in Game 3 of the International League Finals to clinch the title for the Pawsox...was selected by Houston with the first overall pick in the Major League portion of the 2012 Rule 5 Draft...pitched in eightgames for Aguilas Cibaenas in the Dominican Winter League following the conclusion of the 2012 season...gave up eight runs with eight strikeouts in 6.0 innings. Posted a combined 4-2 record with a 3.67 ERA(23ER/56.1IP) and 64 strikeouts in 38 games between Double A Portland (9g) of the Boston organizationand Triple A Tacoma (9g) and Double A Jackson (20g) of the Seattle organization...held opposing hitters toa .194 (38x196) average between the three stops...was traded to the Red Sox along with LHP Erik Bedardin exchange for OF Trayvon Robinson and OF Chih-Hsien Chiang on July 31, 2011. Appeared in 21games for Double A West Tennessee...held opponents to a .190 average (19x100)...fanned two or morebatters in nine appearances...played for Peoria in the Arizona Fall League, going 1-1 with a 3.09 ERA andeight strikeouts in nine games...selected to play in the AFL Rising Stars Game for the second time in hiscareer. Went straight to Double A in his pro debut with West Tennessee...allowed three runs over 0.2innings in his first career appearance on April 9 at Montgomery, but gave up just three earned runs over hisnext 17 appearances...played for Peoria in the AFL, and recorded a 1.64 ERA (2ER/11.0IP) in 11 appearances...held opponents to a .154 (6x39) batting average, the fourth-lowest mark among qualifying AFL relievers...participated in the AFL Rising Stars Game. April 1, 2019 RHP Josh Fields assigned to San Antonio Missions. March 20, 2019 Milwaukee Brewers signed free agent RHP Josh Fields to a minor league contract and invited him to spring training. March 10, 2019 Los Angeles Dodgers released RHP Josh Fields. March 7, 2019 Los Angeles Dodgers designated RHP Josh Fields for assignment. August 30, 2018 Los Angeles Dodgers activated RHP Josh Fields from the 60-day disabled list. August 25, 2018 Los Angeles Dodgers transferred RHP Josh Fields from the 10-day disabled list to the 60-day disabled list. Right shoulder inflammation. August 17, 2018 Los Angeles Dodgers sent RHP Josh Fields on a rehab assignment to Oklahoma City Dodgers. August 7, 2018 Los Angeles Dodgers sent RHP Josh Fields on a rehab assignment to AZL Dodgers. June 28, 2018 Los Angeles Dodgers placed RHP Josh Fields on the 10-day disabled list. Right shoulder inflammation. April 7, 2018 Los Angeles Dodgers activated RHP Josh Fields from the paternity list. April 3, 2018 Los Angeles Dodgers placed RHP Josh Fields on the paternity list. September 4, 2017 Los Angeles Dodgers activated RHP Josh Fields from the 10-day disabled list. August 27, 2017 Los Angeles Dodgers placed RHP Josh Fields on the 10-day disabled list retroactive to August 25, 2017. Lower back strain. July 1, 2017 Los Angeles Dodgers recalled RHP Josh Fields from Oklahoma City Dodgers. June 19, 2017 Los Angeles Dodgers optioned RHP Josh Fields to Oklahoma City Dodgers. May 1, 2017 Los Angeles Dodgers recalled Josh Fields from Oklahoma City Dodgers. April 29, 2017 Los Angeles Dodgers optioned RHP Josh Fields to Oklahoma City Dodgers. April 18, 2017 Los Angeles Dodgers recalled Josh Fields from Oklahoma City Dodgers. April 14, 2017 Los Angeles Dodgers optioned RHP Josh Fields to Oklahoma City Dodgers. April 7, 2017 Los Angeles Dodgers recalled Josh Fields from Oklahoma City Dodgers. March 29, 2017 Los Angeles Dodgers optioned RHP Josh Fields to Oklahoma City Dodgers. September 2, 2016 Los Angeles Dodgers recalled Josh Fields from Oklahoma City Dodgers. August 23, 2016 Los Angeles Dodgers optioned RHP Josh Fields to Oklahoma City Dodgers. August 3, 2016 Los Angeles Dodgers recalled Josh Fields from Oklahoma City Dodgers. August 2, 2016 Los Angeles Dodgers optioned RHP Josh Fields to Oklahoma City Dodgers. August 1, 2016 Houston Astros traded RHP Josh Fields to Los Angeles Dodgers for 1B Yordan Alvarez. May 13, 2016 Houston Astros optioned RHP Josh Fields to Fresno Grizzlies. September 1, 2015 Houston Astros recalled Josh Fields from Corpus Christi Hooks. August 20, 2015 Houston Astros optioned RHP Josh Fields to Corpus Christi Hooks. April 23, 2015 Josh Fields roster status changed by Houston Astros. April 11, 2015 Houston Astros sent RHP Josh Fields on a rehab assignment to Fresno Grizzlies. July 4, 2014 Houston Astros activated RHP Josh Fields from the 15-day disabled list. May 14, 2014 Houston Astros recalled RHP Josh Fields from Oklahoma City RedHawks. May 7, 2014 Houston Astros optioned RHP Josh Fields to Oklahoma City RedHawks. May 31, 2013 Josh Fields roster status changed by Houston Astros. May 28, 2013 Houston Astros sent RHP Josh Fields on a rehab assignment to Oklahoma City RedHawks. May 14, 2013 Quad Cities River Bandits sent RHP Josh Fields on a rehab assignment to Corpus Christi Hooks. May 10, 2013 Josh Fields roster status changed by Quad Cities River Bandits. April 8, 2013 Houston Astros placed RHP Josh Fields on the 15-day disabled list retroactive to April 4, 2013. Right forearm strain. 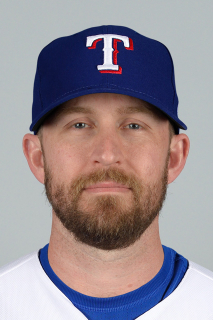 December 6, 2012 Houston Astros claimed RHP Josh Fields off waivers from Pawtucket Red Sox. October 14, 2012 RHP Josh Fields assigned to Aguilas Cibaenas. August 3, 2012 Josh Fields assigned to Pawtucket Red Sox from Portland Sea Dogs. July 31, 2011 Seattle Mariners Traded LHP Erik Bedard to Boston Red Sox; Tacoma Rainiers Traded RHP Josh Fields to Pawtucket Red Sox; Boston Red Sox Traded CF Trayvon Robinson to Seattle Mariners and Portland Sea Dogs Traded OF Chih-Hsien Chiang to Jackson Generals. July 28, 2011 Josh Fields roster status changed by Tacoma Rainiers. July 24, 2011 Tacoma Rainiers placed RHP Josh Fields on the temporarily inactive list. July 1, 2011 RHP Josh Fields assigned to Tacoma Rainiers from Jackson Generals. June 15, 2011 Josh Fields roster status changed by Jackson Generals. May 25, 2011 Jackson Generals placed RHP Josh Fields on the 7-day disabled list. March 25, 2011 RHP Josh Fields assigned to Seattle Mariners. September 27, 2010 West Tenn Diamond Jaxx activated RHP Josh Fields from the 7-day disabled list. August 31, 2010 Josh Fields assigned to Peoria Javelinas. April 5, 2010 West Tenn Diamond Jaxx activated RHP Josh Fields from the 7-day disabled list. August 7, 2009 West Tenn Diamond Jaxx placed RHP Josh Fields on the 7-day disabled list.